Skyrim Nexus, Expired. 7 Nov 2015. RaceMenu. 8 Jan 2013 <https://www.nexusmods.com/skyrim/mods/29624>. Skyrim Nexus, Diethardt. 27 Feb 2016. 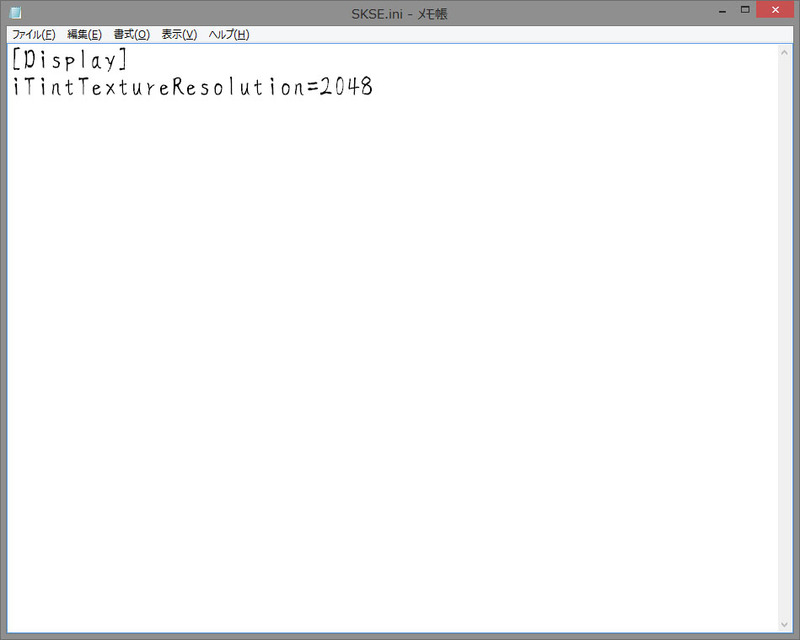 Better Makeup for SKSE. 15 Feb 2013 <https://www.nexusmods.com/skyrim/mods/31665>. 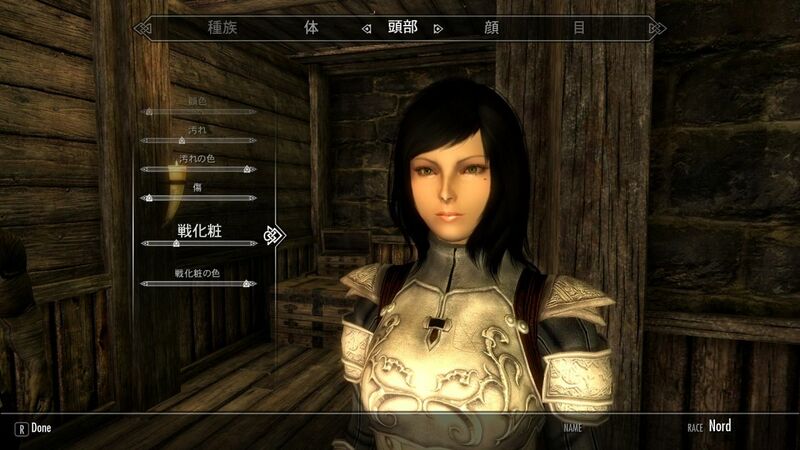 Skyrim Nexus, Desufire. 15 Aug 2016. 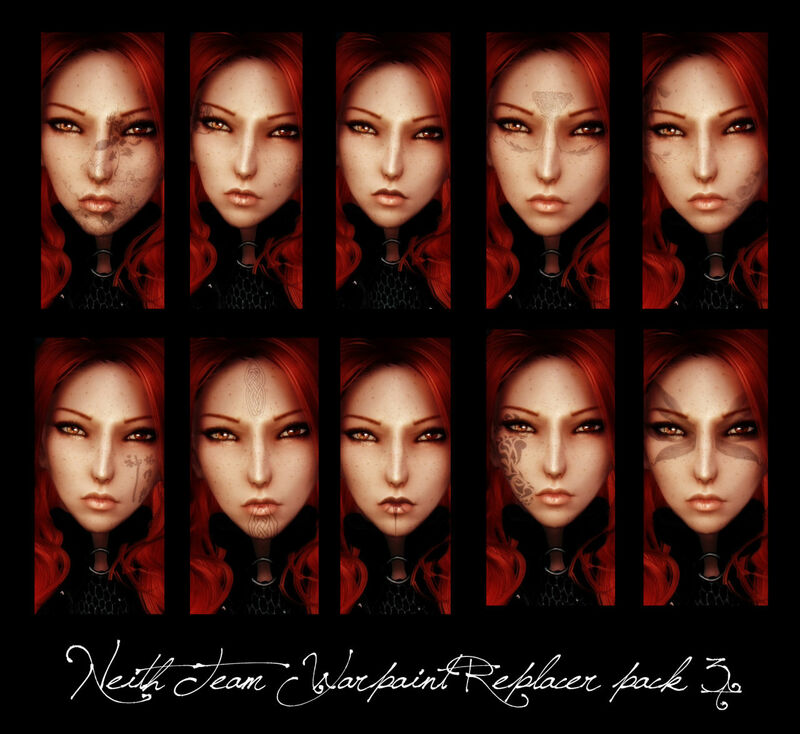 The Coenaculi - RaceMenu Plugin for Tattoos. 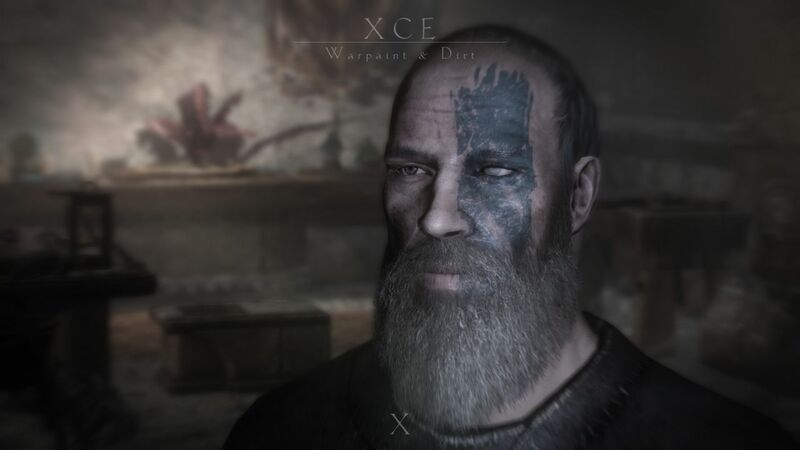 5 May 2013 <https://www.nexusmods.com/skyrim/mods/35677>. Skyrim Nexus, ElaNeith. 19 May 2014. 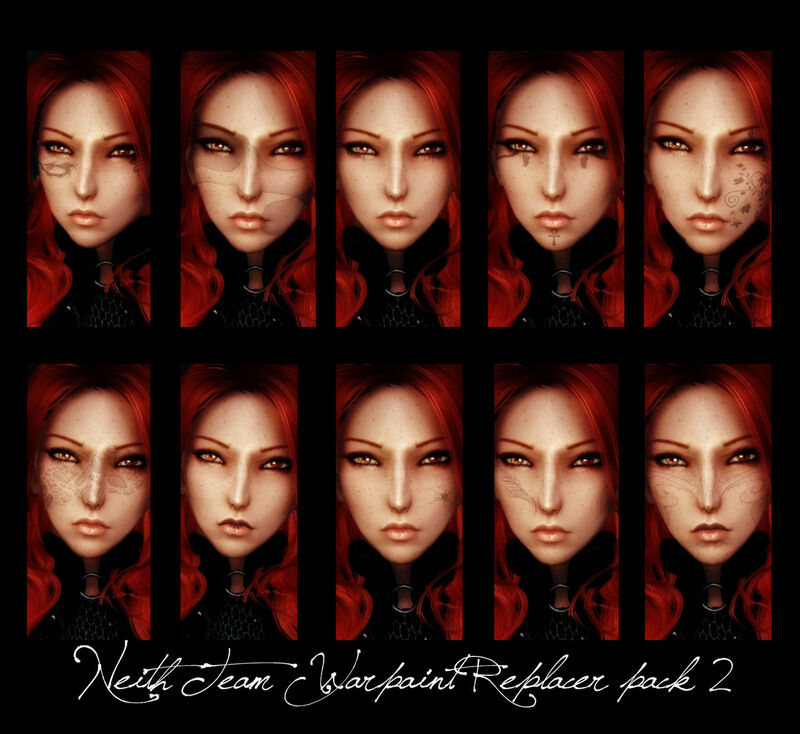 The Neith Team Warpaints Set. 18 May 2014 <https://www.nexusmods.com/skyrim/mods/54118>. Skyrim Nexus, nuska. 19 Dec 2012. 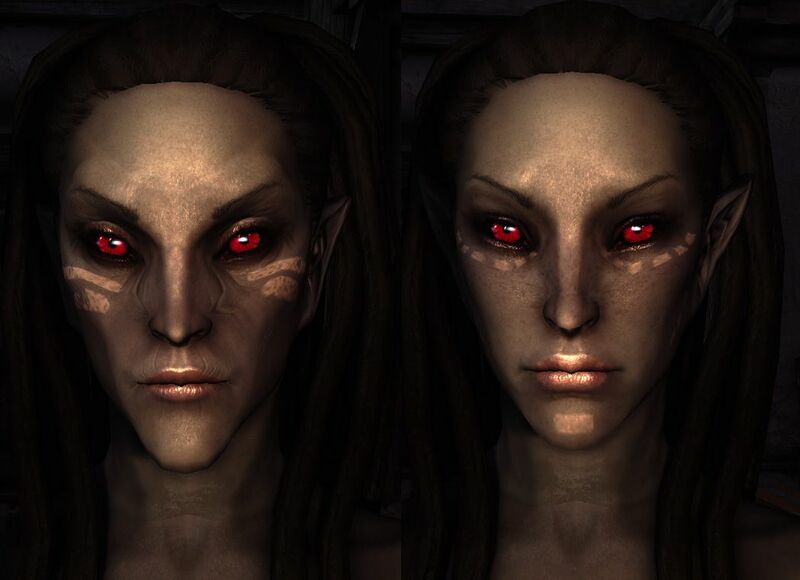 Ethereal Elven Overhaul. 18 Sep 2012 <https://www.nexusmods.com/skyrim/mods/24273>. Skyrim Nexus, Diethardt. 17 Apr 2013. Battle Hardened Warpaints. 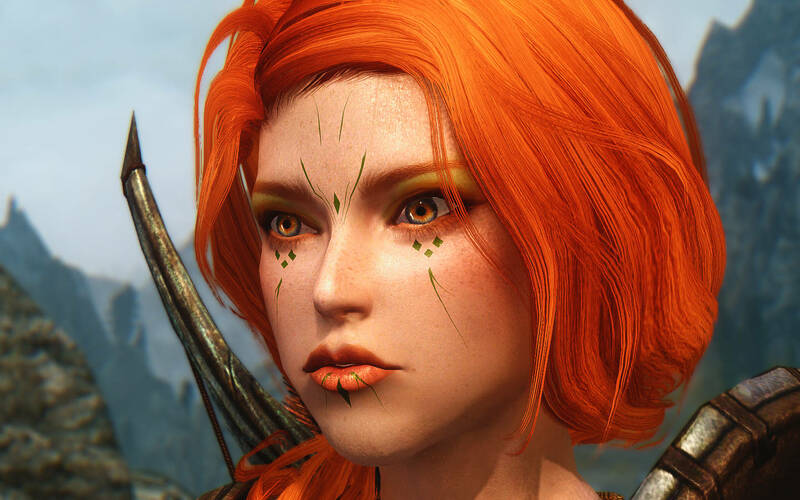 8 Apr 2013 <https://www.nexusmods.com/skyrim/mods/34539>. 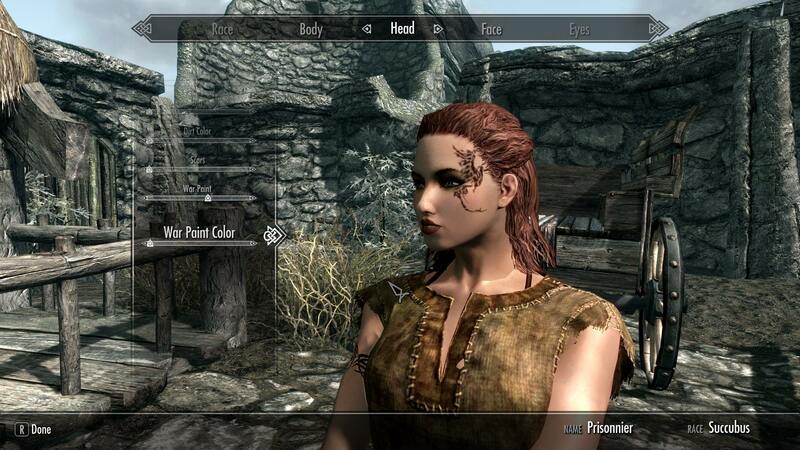 Skyrim Nexus, Nfghjk. 4 Sep 2014. 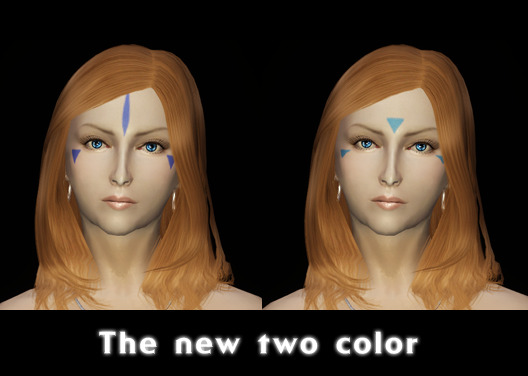 NFG KANJI WarPaints for female. 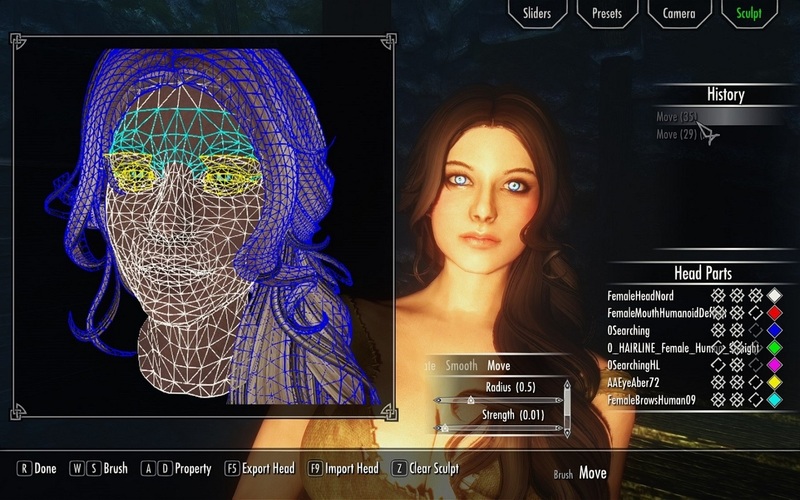 31 Aug 2014 <https://www.nexusmods.com/skyrim/mods/57689>. 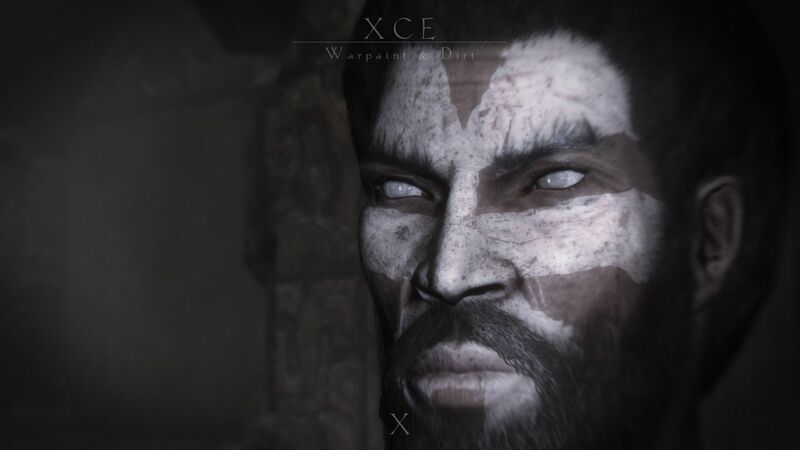 Skyrim Nexus, Xenius. 23 Jan 2013. 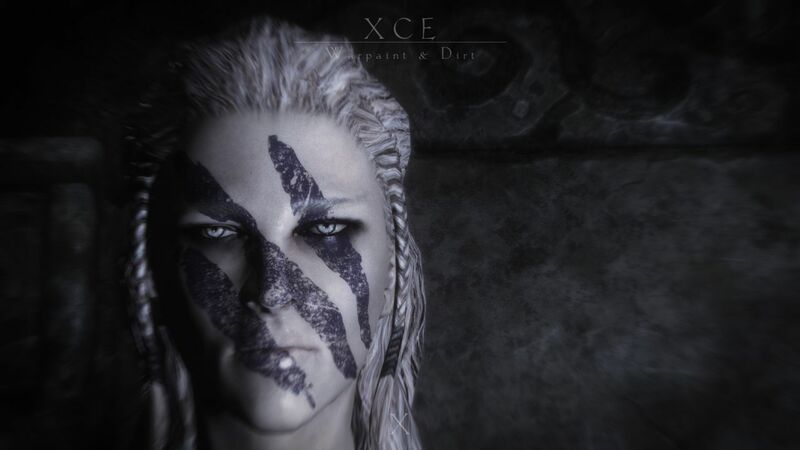 XCE - Warpaint and Dirt. 16 Jan 2013 <https://www.nexusmods.com/skyrim/mods/29977>. 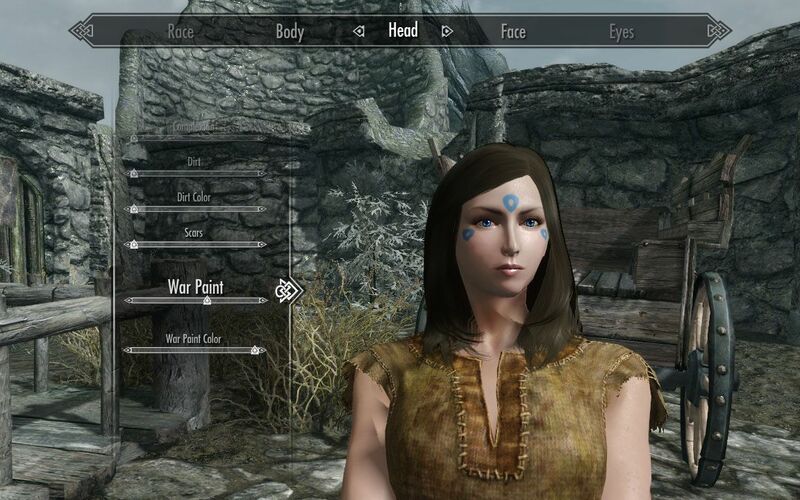 Skyrim Nexus, NameD. 31 Mar 2012. 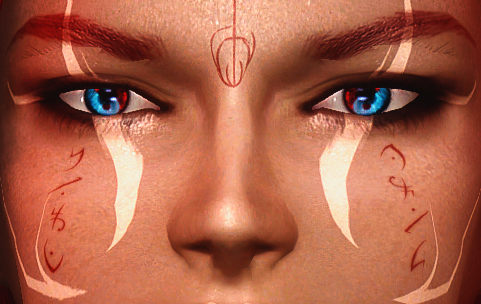 Butterfly Female Warpaint. 24 Mar 2012 <https://www.nexusmods.com/skyrim/mods/13573>. Skyrim Nexus, Diethardt. 3 Mar 2013. Weathered and Worn Warpaints. 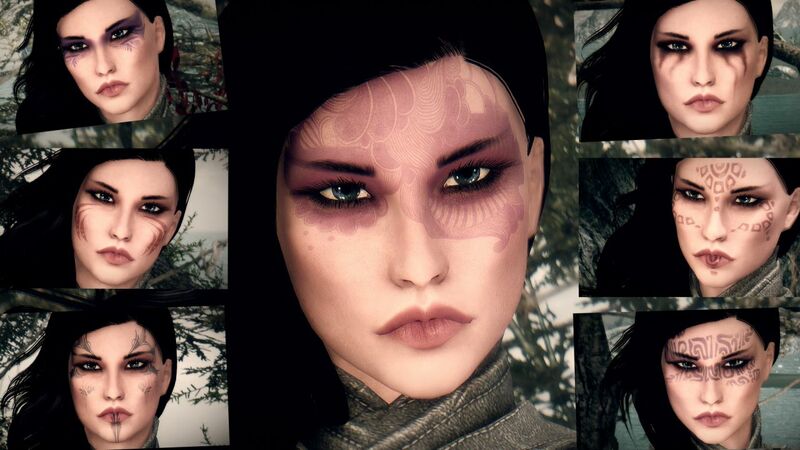 13 Feb 2013 <https://www.nexusmods.com/skyrim/mods/31332>. 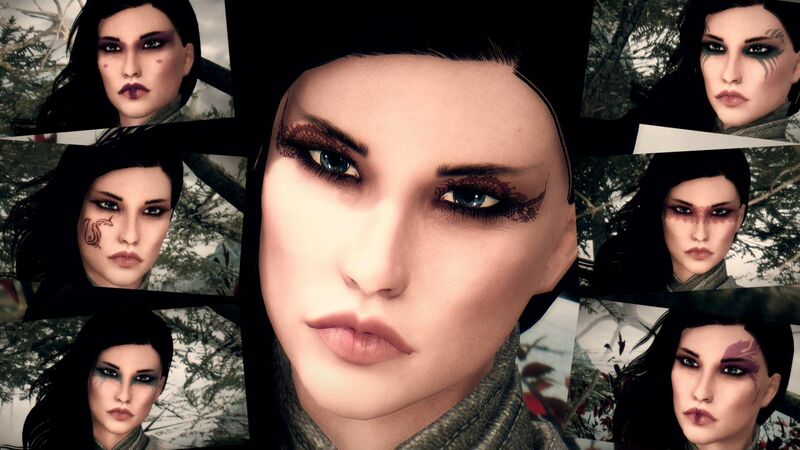 Skyrim Nexus, Grace Darkling. 18 Apr 2013. 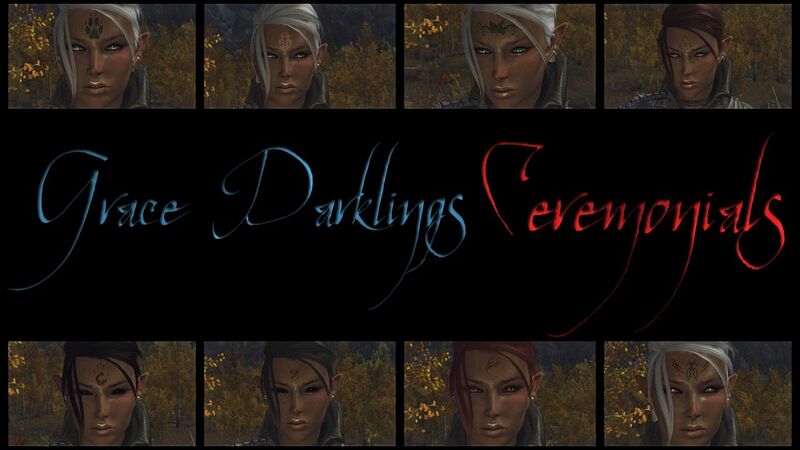 Grace Darklings Ceremonials. 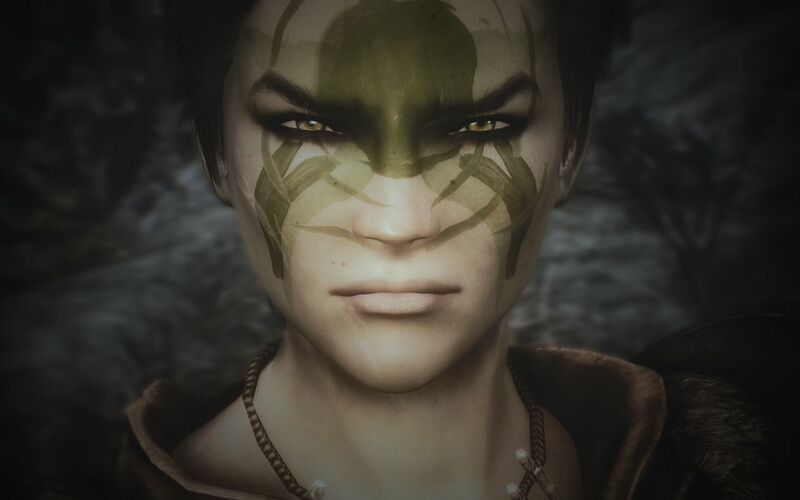 18 Apr 2013 <https://www.nexusmods.com/skyrim/mods/34951>. Skyrim Nexus, Empyrean42. 10 Mar 2015. 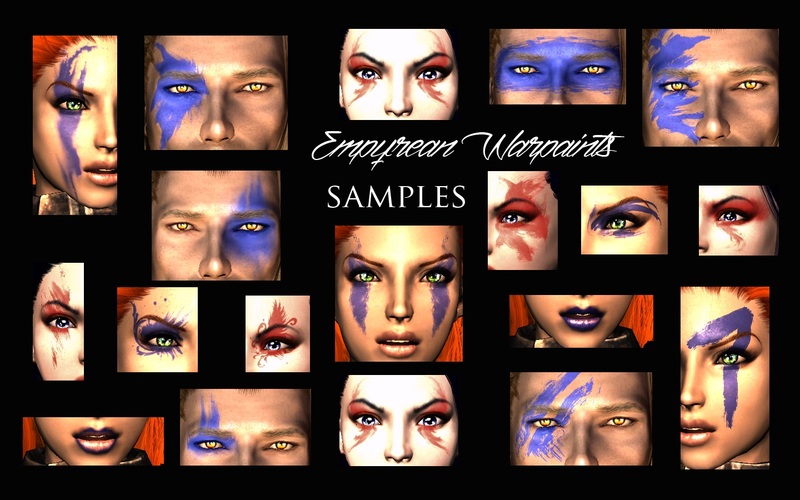 Empyrean Warpaints in HD. 4 Jan 2015 <https://www.nexusmods.com/skyrim/mods/61332>. Skyrim Nexus, Empyrean42. 6 Apr 2015. 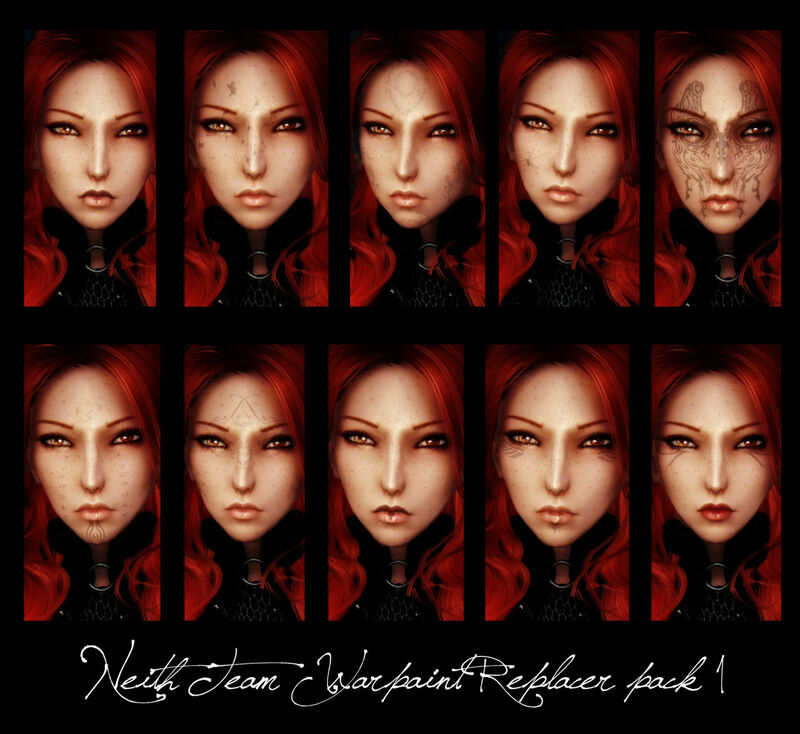 Empyrean Warpaints - Custom Series (female). 15 Feb 2015 <https://www.nexusmods.com/skyrim/mods/62639>. Skyrim Nexus, Aydoo. 12 Dec 2014. 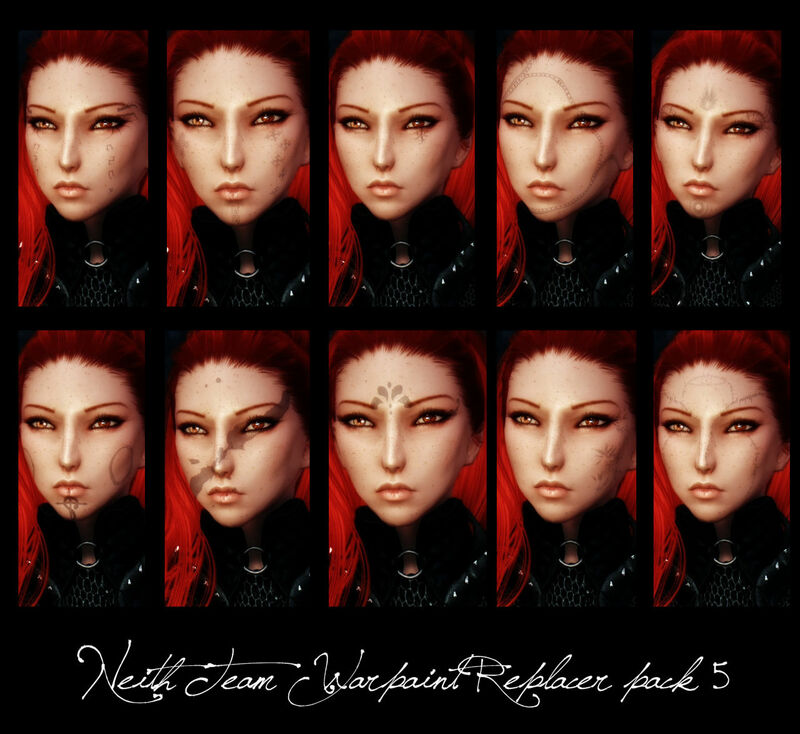 WellGram Warpaints - RaceMenu Overlay Plugin 2.0. 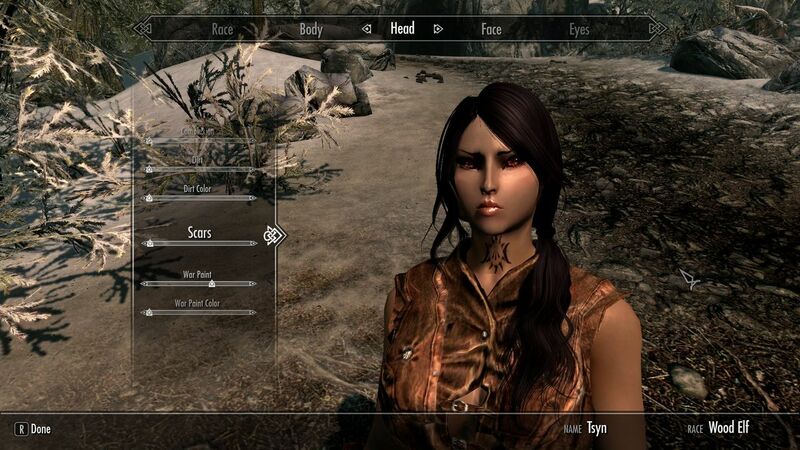 25 Nov 2014 <https://www.nexusmods.com/skyrim/mods/60243>. 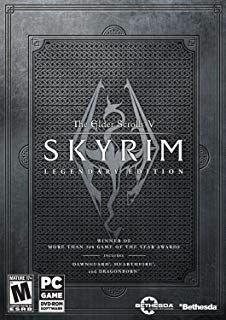 Skyrim Nexus, gobbldygook. 24 Jun 2015. 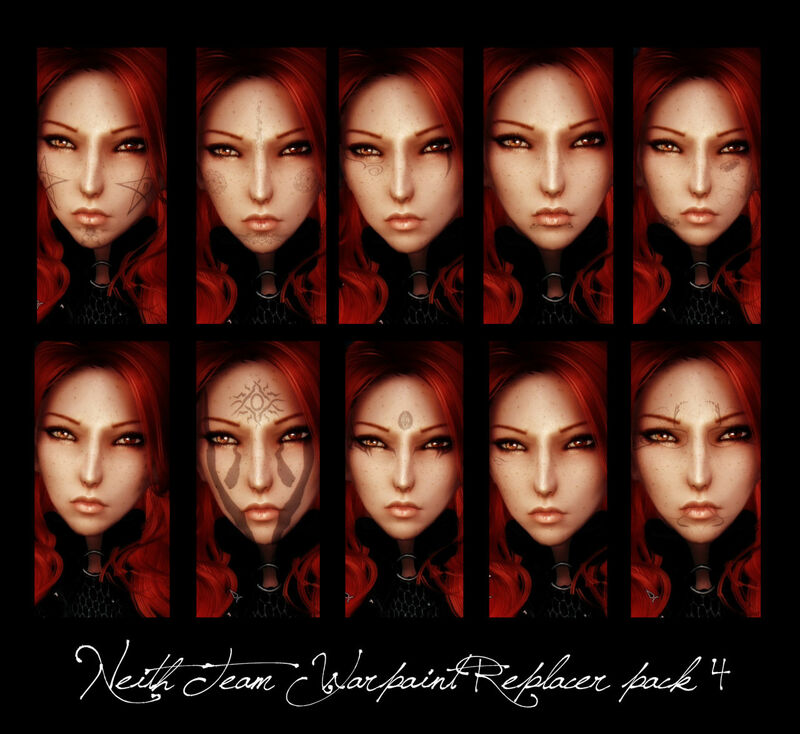 PAINTERLY - a High Res Vanilla Warpaint Retexture. 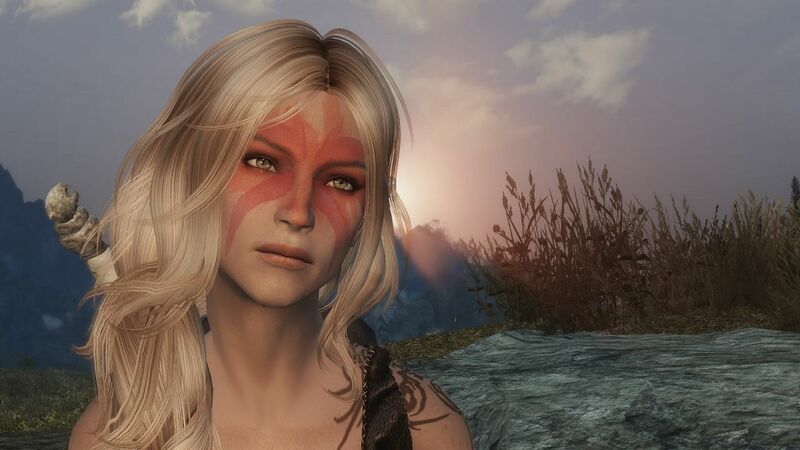 24 Jun 2015 <https://www.nexusmods.com/skyrim/mods/67147>. Skyrim Nexus, LithiumFlower. 21 Dec 2012. 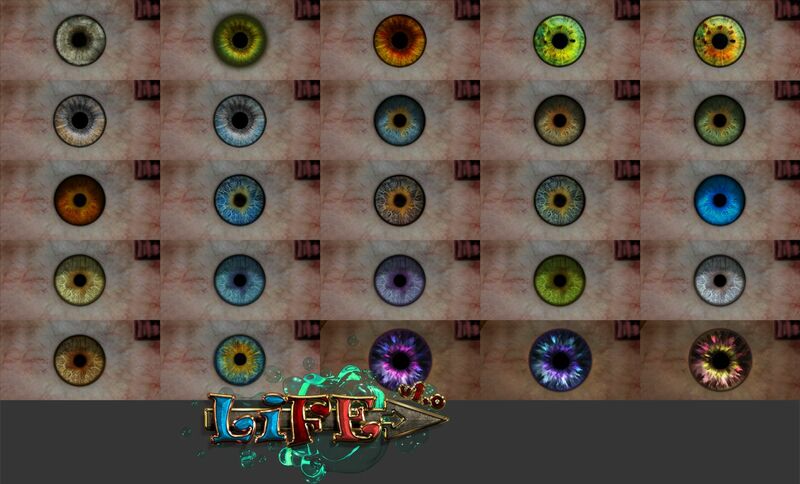 LiFE - Lith Face Enhancement -CBBE-UNP-UNPB. 2 Nov 2012 <https://www.nexusmods.com/skyrim/mods/26354>. 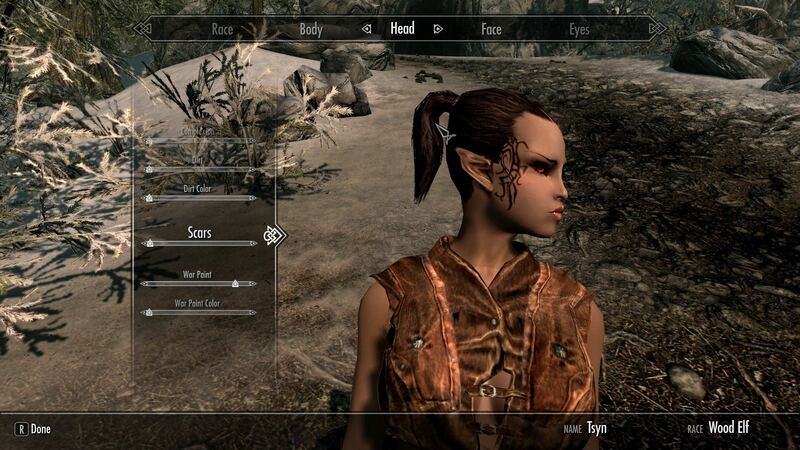 Skyrim Nexus, aoringo. 22 Aug 2012. 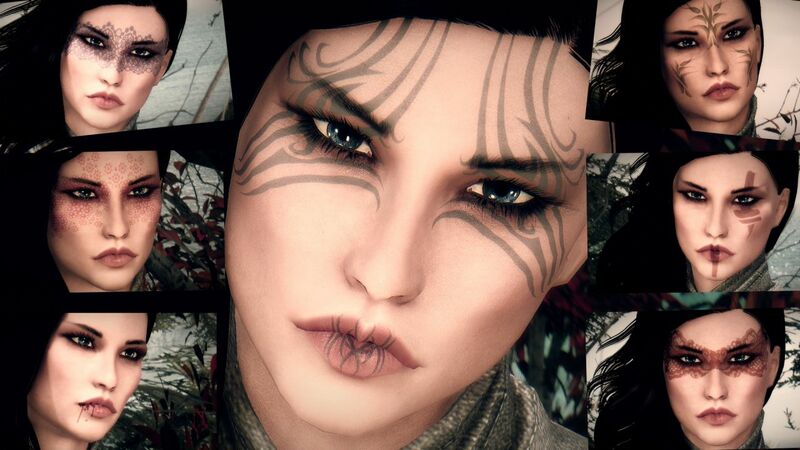 Beauty Spot -Skyrim Warpaint-. 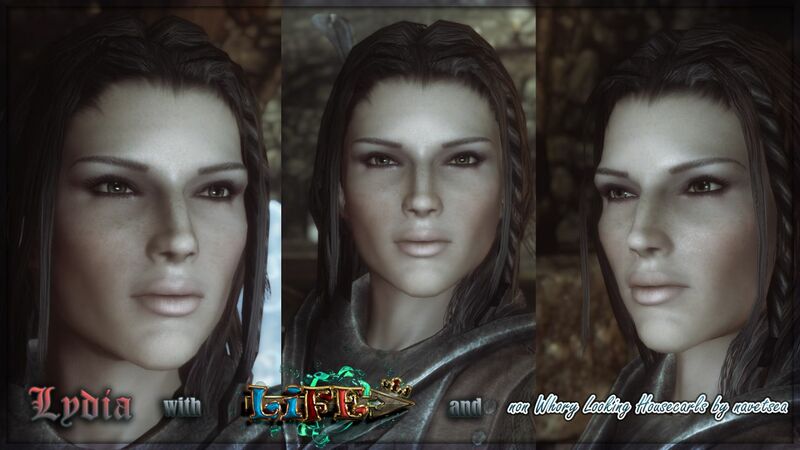 22 Aug 2012 <https://www.nexusmods.com/skyrim/mods/22808>. Skyrim Nexus, Wyldsong. 24 Sep 2013. 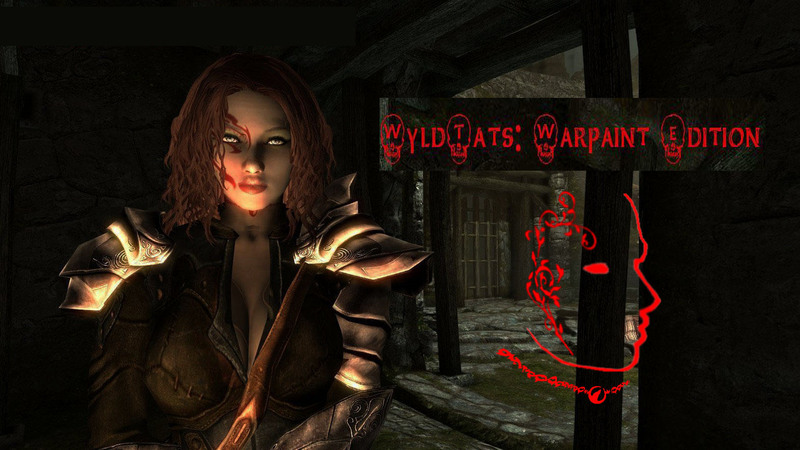 WyldTats Warpaint Edition. 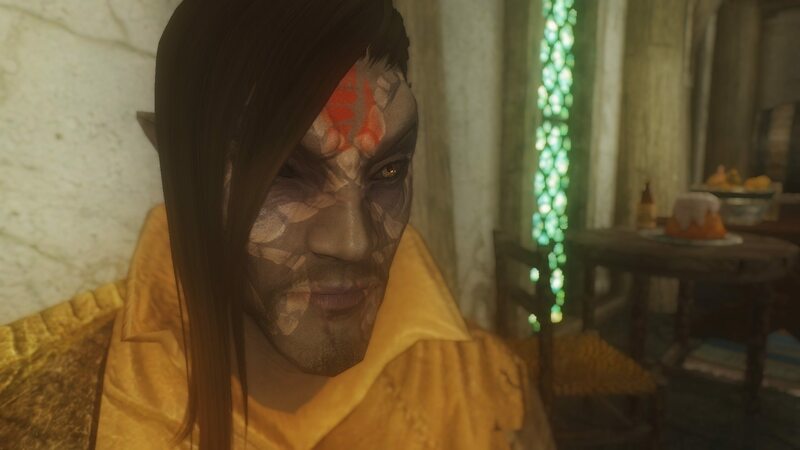 30 Mar 2012 <https://www.nexusmods.com/skyrim/mods/13970>. 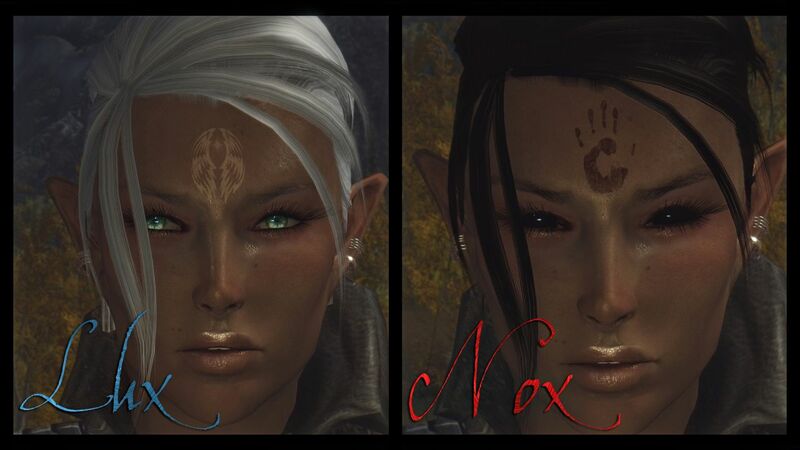 Skyrim Nexus, Veeblix. 5 Jan 2015. 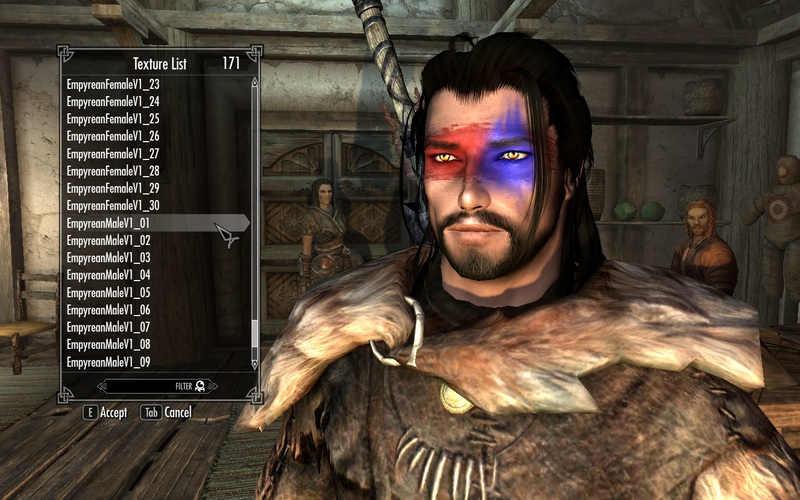 Stoja's Warpaints - A High Resolution Makeup Kit for Skyrim. 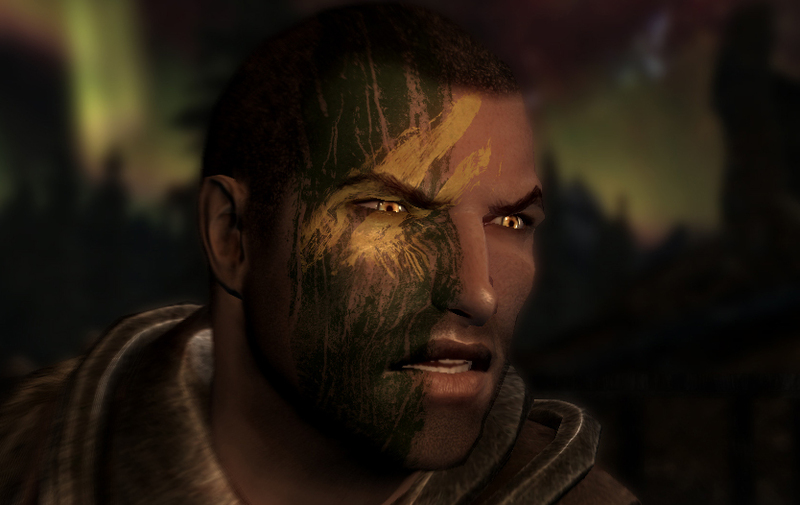 15 Dec 2014 <https://www.nexusmods.com/skyrim/mods/60769>. 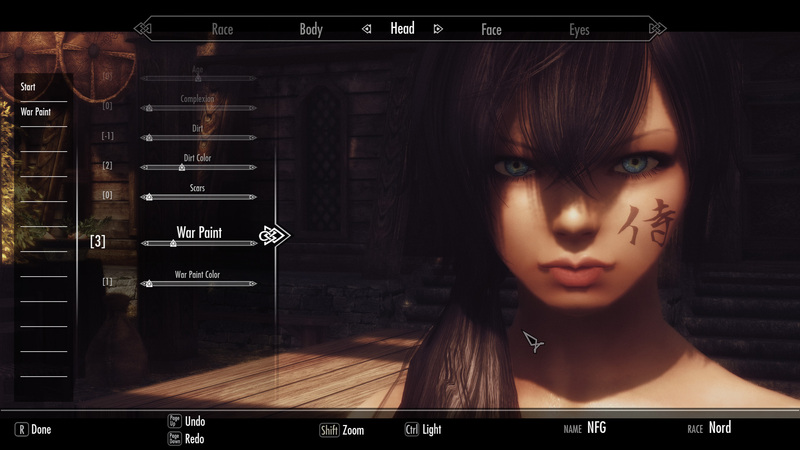 Skyrim Nexus, Raven. 11 Aug 2014. Ravens Warpaint. 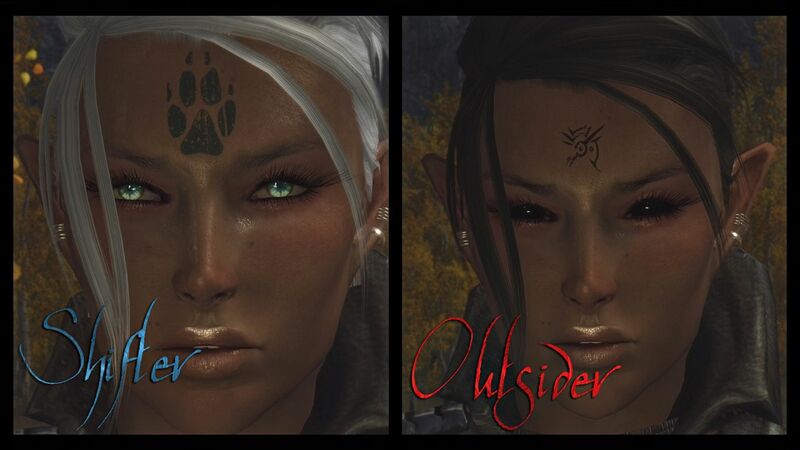 27 Oct 2013 <https://www.nexusmods.com/skyrim/mods/45641>.